[S186] Salt Lake City (Utah) city directories. 1934-1935 R.L. Polk and Co.'s Salt Lake City directory... by R.L. Polk, Film Number: 1612169, First Name Verified. [S187] Salt Lake City (Utah) city directories. 1928-1933 R.L. Polk & Co.'s Salt Lake City directory... by R.L. Polk, Film Number: 1612168, First Name Verified. [S194] Record of members, 1849-1941. Membership record cards, Fife-Swain 1941. Church of Jesus Christ of Latter-day Saints. Salt Lake City 11th Ward (Utah), Film Number: 0026719. [S198] Record of members 1903-1941. Church of Jesus Christ of Latter-day Saints. Heber 3rd Ward (Utah), Film Number: 0026031 Item 1-3. [S199] Annual genealogical report, Form E, 1907-1948. Church of Jesus Christ of Latter-day Saints. Heber 3rd Ward (Utah), Film Number: 0026031 Item 4. [S322] Sealings for the dead, couples and children (includes some living spouses and children) 1943-1970; heir indexes, 1943-1965. 24 Feb 1953. Church of Jesus Christ of Latter-day Saints. Salt Lake Temple, Film Number: 0456754. [S338] Deceased membership records, 1941-1977. Church of Jesus Christ of Latter-day Saints. Membership Department, Film Number: 0884308. [S413] Temple originated records. 1977/Sep OG,OK,PV,SG,SL, Film Number:0883454. [S299] Record of members, 1877-1903; fast meeting record for blessings and confirmations, 1877-1903. Church of Jesus Christ of Latter-day Saints. Heber East Ward (Utah), Film Number: 0026026. [S23] Death records of Salt Lake City, Utah, 1848-Sept. 1950, Salt Lake City (Utah). Office of Vital Statistics, Film Number: 0026577. [S43] Naturalization records, 1853-1936; Utah, Film Number: 1672112. [S49] 1920 U.S. Federal Census Utah, Wasatch County, Film Number: 1821867, Year and State Verified. [S50] 1910 U.S. Federal Census Utah, Wasatch County, Film Number: 1375623, Year and State Verified. [S47] Marriage records, 1887-1965. Marriage licenses, bks. 117-118 nos. 46401-47200 (1925). Salt Lake County (Utah). County Clerk, Film Number: 0429120. 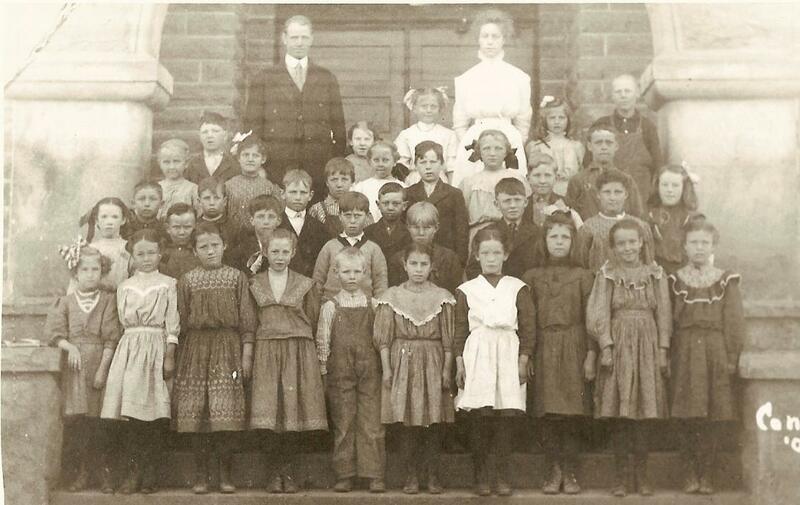 [S50] 1910 U.S. Federal Census Utah, Wasatch County, Film Number: 1375623. [S322] Sealings for the dead, couples and children (includes some living spouses and children) 1943-1970; heir indexes, 1943-1965. 24 Feb 1953. Church of Jesus Christ of Latter-day Saints. Salt Lake Temple, Film Number: 0456754, Date Verified. [S338] Deceased membership records, 1941-1977. Church of Jesus Christ of Latter-day Saints. Membership Department, Film Number: 0884308, Date, Memo Verified. [S179] 1920 U.S. Federal Census Utah, Wasatch County, Film Number: 1830787. [S319] Obituary - Caroline Allen Jones, Deseret News, 1 Feb 1926. [S187] Salt Lake City (Utah) city directories. 1928-1933 R.L. Polk & Co.'s Salt Lake City directory... by R.L. Polk, Film Number: 1612168. [S329] Obituary - Werner Ruefenacht, Deseret News, 4 Aug 1982, Month, Year Verified. [S338] Deceased membership records, 1941-1977. Church of Jesus Christ of Latter-day Saints. Membership Department, Film Number: 0884308, Date, City, Cause of Death Verified. [S5] Certificate of Blessing - Robert Danial Reufenacht, The Church of Jesus Christ of Latter-day Saints Eleventh Ward, 7 May 1922. [S9] Temple Recomend For Robert Daniel Ruefenacht For Own Endowment, 21 May 1945. [S31] Certificate of Baptism and Confirmation - Robert Daniel Ruefenacht, The Church of Jesus Christ of Latter-day Saints Eleventh Ward, 29 Mar 1931. [S56] Certificate of Record of Membership - Marie M. Ruefenacht, The Church of Jesus Christ of Latter-day Saints, 8 Jul 1968. [S65] Certificate of Baptism and Confirmation - Marie Magdalene Rufenacht, The Church of Jesus Christ of Latter-day Saints. [S178] Record of members, early-1948. Church of Jesus Christ of Latter-day Saints. Nurnberg Branch (Bayern), Film Number: 0068802. [S185] Salt Lake City (Utah) city directories. 1926-1927 R.L. Polk and Co.'s Salt Lake City directory... by R.L. Polk, Film Number: 1612167, First Name Verified. [S211] Record of members 1898-1920. Church of Jesus Christ of Latter-day Saints. Salt Lake City 15th Ward (Utah)., Film Number: 0026676. [S227] Obituary - Rosina Hoesch, Deseret News, 18 Jun 1968. [S235] Certificate of Death - Rosina Hoesch Ruefenacht. [S248] Probate - Rosina Hoesch, 25 Jun 1968, First Name Verified. [S249] Will - Rosina Rufenacht, 15 Feb 1945, First Name Verified. [S251] Certificate of Baptism and Confirmation - Rose Annie Ruefenacht, The Church of Jesus Christ of Latter-day Saints, June 1920. [S253] Certificate of Baptism and Confirmation - Sabine Frieda Ruefenacht, The Church of Jesus Christ of Latter-day Saints Eleventh Ward. [S254] Certificate of Record of Membership - Sabina Frieda Ruefenacht, The Church of Jesus Chirst of Latter-day Saints, 8 Jul 1968. [S325] Sealings of children to parents, 1893-1942; heir indexes, 1893-1942. Vol. 20 9 Sep 1936. Church of Jesus Christ of Latter-day Saints. Salt Lake Temple, Film Number: 1239640 Item 1. [S118] Certificate of Blessing - Marie Magdalene Ruefenacht, The Church of Jesus Christ of Latter-day Saints Eleventh Ward, 4 Dec 1916. [S311] Endowments of the living, 1893-1956; indexes, 1893-1956. Vol. G 13 May 1929-26 Feb 1941. Church of Jesus Christ of Latter-day Saints. Salt Lake Temple, Film Number: 0184081, First Name, Last Name Verified. [S54] 1910 U.S. Federal Census Utah, Salt Lake County, Film Number: 1375619. [S17] Marriage records, 1887-1965. Marriage liecenses, bks. 31-32 (1911) nos. 12001-12800, Salt Lake County. County Clerk, Film Number: 0429077. [S184] Salt Lake City (Utah) city directories. 1924-1925 R.L. Polk and Co.'s Salt Lake City directory... by R.L. Polk, Film Number: 1612166. [S185] Salt Lake City (Utah) city directories. 1926-1927 R.L. Polk and Co.'s Salt Lake City directory... by R.L. Polk, Film Number: 1612167. [S186] Salt Lake City (Utah) city directories. 1934-1935 R.L. Polk and Co.'s Salt Lake City directory... by R.L. Polk, Film Number: 1612169. [S252] Certificate of Blessing - Rose Annie Ruefenacht, The Church of Jesus Christ of Latter-day Saints Fifteenth Ward, 5 May 1912. [S45] Index to passenger lists of vessels arriving at New york, June 16, 1897-June 30, 1902; Index (soundex) to passenger lists of vessels arriving at New York July 1, 1902-December 31, 1943; Passenger and crew lists of vessels arriving at New York, 1897-1924, Film Number: 1399968, Place Verified. [S194] Record of members, 1849-1941. Membership record cards, Fife-Swain 1941. Church of Jesus Christ of Latter-day Saints. Salt Lake City 11th Ward (Utah), Film Number: 0026719, Year, City Verified. [S235] Certificate of Death - Rosina Hoesch Ruefenacht, Date, Country Verified. [S45] Index to passenger lists of vessels arriving at New york, June 16, 1897-June 30, 1902; Index (soundex) to passenger lists of vessels arriving at New York July 1, 1902-December 31, 1943; Passenger and crew lists of vessels arriving at New York, 1897-1924, Film Number: 1399968. [S194] Record of members, 1849-1941. Membership record cards, Fife-Swain 1941. Church of Jesus Christ of Latter-day Saints. Salt Lake City 11th Ward (Utah), Film Number: 0026719, Date, Memo Verified. [S211] Record of members 1898-1920. Church of Jesus Christ of Latter-day Saints. Salt Lake City 15th Ward (Utah)., Film Number: 0026676, Date, Memo Verified. [S21] Salt Lake City directory 1910 p. 1-1106, R.L. Polk and Company, Film Number: 0908949, Year, Place Verified. [S290] Salt Lake City (Utah) city directories. 1910 R.L. Polk & Co.'s Salt Lake City directory... by R.L. Polk, Film Number: 1612159, Year, Place Verified. [S15] Death records of Salt Lake City, Utah, 1848-Sept. 1950. Death registers 1924-1925, Office of Vital Statistics, Film Number: 0026562. [S16] Death records of Salt Lake City, Utah, 1848-Sept. 1950. Death registers 1937, Office of Vital Statistics, Film Number: 0026570. [S194] Record of members, 1849-1941. Membership record cards, Fife-Swain 1941. Church of Jesus Christ of Latter-day Saints. Salt Lake City 11th Ward (Utah), Film Number: 0026719, Place Verified. [S249] Will - Rosina Rufenacht, 15 Feb 1945. [S248] Probate - Rosina Hoesch, 25 Jun 1968, Date, City Verified. [S227] Obituary - Rosina Hoesch, Deseret News, 18 Jun 1968, Date, Cemetery Verified. [S235] Certificate of Death - Rosina Hoesch Ruefenacht, Date, Cemetery Verified. [S250] Salt Lake City Cemetery Receits, Place Verified. [S248] Probate - Rosina Hoesch, 25 Jun 1968. [S199] Annual genealogical report, Form E, 1907-1948. Church of Jesus Christ of Latter-day Saints. Heber 3rd Ward (Utah), Film Number: 0026031 Item 4, First Name, Middle Initial, Last Name Verified. [S200] Endowments of the living, 1893-1956; Vol. F 12 Jan 1921-10 May 1929. Church of Jesus Christ of Latter-day Saints. Salt Lake Temple, Film Number: 0184078, First Name, Middle Initial, Last Name Verified. [S205] Salt Lake City (Utah) city directories. 1914-1915 R.L. Polk and Co.'s Salt Lake City directory, Film Number: 1612161, First Name, Middle Initial, Last Name Verified. [S212] Membership record cards, Garside-Stevenson 1941. Church of Jesus Christ of Latter-day Saints. Salt Lake City 2nd Ward (Utah), Film Number: 0026839, First Name, Last Name Verified. [S293] Heber Cemetery, Utah. Sexton record, 1859-1980, Film Number: 1036981 Item 1. [S309] Obituary - Minnie D.J. Lewis, 14 Sep 1961, Deseret News, First Name, Last Name Verified. [S310] Endowments of the living, 1893-1956; indexes, 1893-1956. Vol. J 2 Oct 1950-29 Jun 1956. Church of Jesus Christ of Latter-day Saints. Salt Lake Temple, Film Number: 0184076. [S315] Marriage license records, 1879-1966. Marriage license records, 1879-1917. Wasatch County (Utah). County Clerk, Film Number: 0482527, First Name, Last Name Verified. [S317] Obituary - Marion B. Lewis, Deseret News, 27 Nov 1958. [S49] 1920 U.S. Federal Census Utah, Wasatch County, Film Number: 1821867, Farmer Verified. [S50] 1910 U.S. Federal Census Utah, Wasatch County, Film Number: 1375623, Hay Dealer Verified. [S218] 1900 U.S. Federal Census Utah, Wasatch County, Film Number: 1241688, Farmer Verified. [S317] Obituary - Marion B. Lewis, Deseret News, 27 Nov 1958, Rancher Verified. [S296] Record of members 1875-1923. Church of Jesus Christ of Latter-day Saints. Cottonwood Ward (Utah), Film Number: 0026763 Item 1-2. [S218] 1900 U.S. Federal Census Utah, Wasatch County, Film Number: 1241688. [S218] 1900 U.S. Federal Census Utah, Wasatch County, Film Number: 1241688, Month, Year, State Verified. [S315] Marriage license records, 1879-1966. Marriage license records, 1879-1917. Wasatch County (Utah). County Clerk, Film Number: 0482527, Year Verified. [S23] Death records of Salt Lake City, Utah, 1848-Sept. 1950, Salt Lake City (Utah). Office of Vital Statistics, Film Number: 0026577, Place Verified. [S47] Marriage records, 1887-1965. Marriage licenses, bks. 117-118 nos. 46401-47200 (1925). Salt Lake County (Utah). County Clerk, Film Number: 0429120, Place Verified. [S229] Obituary - Rose S. Nichols, Deseret News, 30 Jan 1993. [S310] Endowments of the living, 1893-1956; indexes, 1893-1956. Vol. J 2 Oct 1950-29 Jun 1956. Church of Jesus Christ of Latter-day Saints. Salt Lake Temple, Film Number: 0184076, Date Verified. [S315] Marriage license records, 1879-1966. Marriage license records, 1879-1917. Wasatch County (Utah). County Clerk, Film Number: 0482527. [S317] Obituary - Marion B. Lewis, Deseret News, 27 Nov 1958, Month, Year, City Verified. [S218] 1900 U.S. Federal Census Utah, Wasatch County, Film Number: 1241688, Year Verified. [S309] Obituary - Minnie D.J. Lewis, 14 Sep 1961, Deseret News. [S293] Heber Cemetery, Utah. Sexton record, 1859-1980, Film Number: 1036981 Item 1, Date, City Verified. [S198] Record of members 1903-1941. Church of Jesus Christ of Latter-day Saints. Heber 3rd Ward (Utah), Film Number: 0026031 Item 1-3, First Name, Last Name Verified. [S199] Annual genealogical report, Form E, 1907-1948. Church of Jesus Christ of Latter-day Saints. Heber 3rd Ward (Utah), Film Number: 0026031 Item 4, First Name, Last Name Verified. [S207] 1880 U.S. Federal Census Utah, Wasatch County, Film Number: 1255339, First Name, Last Name Verified. [S212] Membership record cards, Garside-Stevenson 1941. Church of Jesus Christ of Latter-day Saints. Salt Lake City 2nd Ward (Utah), Film Number: 0026839. [S293] Heber Cemetery, Utah. Sexton record, 1859-1980, Film Number: 1036981 Item 1, First Name, Last Name Verified. [S299] Record of members, 1877-1903; fast meeting record for blessings and confirmations, 1877-1903. Church of Jesus Christ of Latter-day Saints. Heber East Ward (Utah), Film Number: 0026026, First Name, Middle Initial, Last Name Verified. [S310] Endowments of the living, 1893-1956; indexes, 1893-1956. Vol. J 2 Oct 1950-29 Jun 1956. Church of Jesus Christ of Latter-day Saints. Salt Lake Temple, Film Number: 0184076, First Name, Middle Initial, Last Name Verified. [S319] Obituary - Caroline Allen Jones, Deseret News, 1 Feb 1926, First Name, Last Name Verified. [S322] Sealings for the dead, couples and children (includes some living spouses and children) 1943-1970; heir indexes, 1943-1965. 24 Feb 1953. Church of Jesus Christ of Latter-day Saints. Salt Lake Temple, Film Number: 0456754, First Name, Middle Initial, Last Name Verified. [S218] 1900 U.S. Federal Census Utah, Wasatch County, Film Number: 1241688, First Name, Middle Initial, Last Name Verified. [S207] 1880 U.S. Federal Census Utah, Wasatch County, Film Number: 1255339, Month, Year, State Verified. [S299] Record of members, 1877-1903; fast meeting record for blessings and confirmations, 1877-1903. Church of Jesus Christ of Latter-day Saints. Heber East Ward (Utah), Film Number: 0026026, Date Verified. [S207] 1880 U.S. Federal Census Utah, Wasatch County, Film Number: 1255339. [S198] Record of members 1903-1941. Church of Jesus Christ of Latter-day Saints. Heber 3rd Ward (Utah), Film Number: 0026031 Item 1-3, Date, Memo Verified. [S199] Annual genealogical report, Form E, 1907-1948. Church of Jesus Christ of Latter-day Saints. Heber 3rd Ward (Utah), Film Number: 0026031 Item 4, Date, Memo Verified. [S317] Obituary - Marion B. Lewis, Deseret News, 27 Nov 1958, Year Verified. [S319] Obituary - Caroline Allen Jones, Deseret News, 1 Feb 1926, Date, Memo Verified. [S322] Sealings for the dead, couples and children (includes some living spouses and children) 1943-1970; heir indexes, 1943-1965. 24 Feb 1953. Church of Jesus Christ of Latter-day Saints. Salt Lake Temple, Film Number: 0456754, Date, City Verified. [S293] Heber Cemetery, Utah. Sexton record, 1859-1980, Film Number: 1036981 Item 1, Place Verified. [S319] Obituary - Caroline Allen Jones, Deseret News, 1 Feb 1926, Place Verified. Preston King Lewis was ordained a high preist by Rulon Miller in The Church of Jesus Christ of Latter-day Saints.7 He was a farmer and day laborer.8,9,10 He was born in 1828 in Kentucky.11 He was born on Friday, 15 November 1839 in Simpson County, Kentucky.7,12,13,14 He was born on Sunday, 15 November 1840 in Simpson County, Kentucky.15 Preston King Lewis married Virtue Ann Bowthorpe at the age of 16 and 19 on Friday, 4 January 1856 in Salt Lake City, Salt Lake, Utah. Preston King Lewis was sealed to Virtue Ann Bowthorpe on 28 February 1857 in the Endowment House, Salt Lake City, Salt Lake, Utah. At the age of 17, Preston King Lewis received his endowment on Friday, 7 August 1857. Preston King Lewis married Sarah J. Coleman at the age of 29 and 17 on Monday, 13 September 1869 in the Endowment House, Salt Lake City, Salt Lake, Utah. Preston King Lewis married Sarah J. Coleman in 1870.16 Preston King Lewis married Sarah J. Coleman in 1874.17 Preston King Lewis and Virtue Ann Bowthorpe lived in Big Cottonwood, Salt Lake, Utah on 3 June 1880.11 Preston King Lewis and Sarah J. Coleman lived in a rented house in Heber, Wasatch, Utah on 6 June 1900.16 Preston King Lewis and Sarah J. Coleman lived in a rented house on 4th East Street, Heber, Wasatch, Utah on 18 April 1910.17 Preston King Lewis died on Tuesday, 21 January 1913 in Heber, Wasatch, Utah at the age of 73 years, 2 months and 6 days.7,18 He was buried on Thursday, 23 January 1913 in the Heber City Cemetery, Heber, Wasatch, Utah. [S130] 1880 U.S. Federal Census Utah, Salt Lake County, Film Number: 1255337, First Name, Last Name Verified. [S195] Record of members, 1911-1941. Record of members 1911-1940. Church of Jesus Christ of Latter-day Saints. Garfield Ward (Utah), Film Number: 0025984, First Name, Last Name Verified. [S218] 1900 U.S. Federal Census Utah, Wasatch County, Film Number: 1241688, First Name, Last Name Verified. [S241] Obituary - Zella L. Provost, Deseret News, 31 Jul 1974. [S533] 1850 U.S. Federal Census Missouri, Platte County, Film Number: 0443618, First Name, Last Name Verified. [S50] 1910 U.S. Federal Census Utah, Wasatch County, Film Number: 1375623, Farmer Verified. [S130] 1880 U.S. Federal Census Utah, Salt Lake County, Film Number: 1255337, Farmer Verified. [S218] 1900 U.S. Federal Census Utah, Wasatch County, Film Number: 1241688, Day Laborer Verified. [S130] 1880 U.S. Federal Census Utah, Salt Lake County, Film Number: 1255337. [S199] Annual genealogical report, Form E, 1907-1948. Church of Jesus Christ of Latter-day Saints. Heber 3rd Ward (Utah), Film Number: 0026031 Item 4, County Verified. [S533] 1850 U.S. Federal Census Missouri, Platte County, Film Number: 0443618, Year, State Verified. [S11] Early Church Membership Records, Infobases. Sarah J. Coleman could not read or write in 1880, but could read and write in 1900.7,8 She was also known as Sarah Colman.9 She immigrated in 1850 to the United States.10 She was born on Wednesday, 9 June 1852 in Hemel Hempstead, Hereford, England.11,12,13 At the age of 8, Sarah J. Coleman was baptized in The Church of Jesus Christ of Latter-day Saints on Sunday, 1 July 1860. In 1864, Sarah J. Coleman immigrated to the United States.8 At the age of 16, Sarah J. Coleman received her endowment on Monday, 22 February 1869. Preston King Lewis married Sarah J. Coleman at the age of 29 and 17 on Monday, 13 September 1869 in the Endowment House, Salt Lake City, Salt Lake, Utah. She married Preston King Lewis in 1870.8 Sarah J. Coleman married Preston King Lewis in 1874.10 Sarah J. Coleman lived in Big Cottonwood, Salt Lake, Utah on 3 June 1880.7 She was sealed to George Coleman and Elizabeth Bailey in the Salt Lake Temple, Salt Lake City, Salt Lake, Utah on 21 September 1893. Sarah J. Coleman and Preston King Lewis lived in a rented house in Heber, Wasatch, Utah on 6 June 1900.8 Sarah J. Coleman and Preston King Lewis lived in a rented house on 4th East Street, Heber, Wasatch, Utah on 18 April 1910.10 Sarah J. Coleman witnessed the marriage of Rowe Lewis and Sarah Evelyn Ivie on 25 March 1911 in Heber, Wasatch, Utah; by Frederick Crook.14 Sarah J. Coleman died of arteriosclerosis or cardio renal degeneration on Wednesday, 11 April 1934 in Heber, Wasatch, Utah at the age of 81 years, 10 months and 2 days.15,16 She was buried on Saturday, 14 April 1934 in the Heber City Cemetery, Heber, Wasatch, Utah. [S130] 1880 U.S. Federal Census Utah, Salt Lake County, Film Number: 1255337, First Name Verified. [S218] 1900 U.S. Federal Census Utah, Wasatch County, Film Number: 1241688, First Name Verified. [S241] Obituary - Zella L. Provost, Deseret News, 31 Jul 1974, First Name, Last Name Verified. [S52] Obituary - Mrs. Siney Lewis. [S198] Record of members 1903-1941. Church of Jesus Christ of Latter-day Saints. Heber 3rd Ward (Utah), Film Number: 0026031 Item 1-3, Date, Country Verified. [S199] Annual genealogical report, Form E, 1907-1948. Church of Jesus Christ of Latter-day Saints. Heber 3rd Ward (Utah), Film Number: 0026031 Item 4, Date, Country Verified. [S218] 1900 U.S. Federal Census Utah, Wasatch County, Film Number: 1241688, Month, Year, Country Verified. 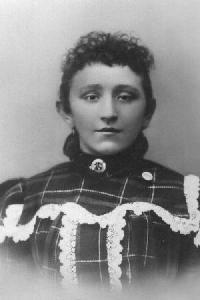 Sarah Nevada Lewis was born in 1871 in Utah.2 She was born on Saturday, 14 January 1871 in Muddy or Moapa Valley, Nevada. She lived with Sarah J. Coleman in Big Cottonwood, Salt Lake, Utah on 3 June 1880.2 Sarah Nevada Lewis and Olive Maretta Lewis were ill with the measels on 3 June 1880 in Big Cottonwood, Salt Lake, Utah.2 At the age of 11, Sarah Nevada Lewis was baptized in The Church of Jesus Christ of Latter-day Saints on Sunday, 30 April 1882. At the age of 25, Sarah Nevada Lewis received her endowment on Thursday, 14 May 1896. She died on Wednesday, 17 February 1932 in Salt Lake City, Salt Lake, Utah at the age of 61 years, 1 month and 3 days. She was buried on Sunday, 21 February 1932 in Salt Lake City, Salt Lake, Utah. [S130] 1880 U.S. Federal Census Utah, Salt Lake County, Film Number: 1255337, First Name, Middle Initial, Last Name Verified. Olive Maretta Lewis was also known as Ollive M. Nailer.2 She was born on Sunday, 2 March 1873 in Big Cottonwood, Salt Lake, Utah.3,4 She lived with Sarah J. Coleman in Big Cottonwood, Salt Lake, Utah on 3 June 1880.5 Olive Maretta Lewis and Sarah Nevada Lewis were ill with the measels on 3 June 1880 in Big Cottonwood, Salt Lake, Utah.5 At the age of 9, Olive Maretta Lewis was baptized in The Church of Jesus Christ of Latter-day Saints on Friday, 9 June 1882. At the age of 20, Olive Maretta Lewis received her endowment on Wednesday, 15 November 1893. At the age of 27, Olive Maretta Lewis married William Jesse Bond on Wednesday, 26 December 1900 in Heber, Wasatch, Utah; by Thomas Hicken, Jr.2 Olive Maretta Lewis died on Thursday, 25 October 1956 in Heber, Wasatch, Utah at the age of 83 years, 7 months and 23 days. She was buried on Sunday, 28 October 1956 in the Heber City Cemetery, Heber, Wasatch, Utah. [S130] 1880 U.S. Federal Census Utah, Salt Lake County, Film Number: 1255337, Year, State Verified. Elizabeth Bailey Lewis was born on Thursday, 6 May 1875 in Big Cottonwood, Salt Lake, Utah.2 She lived with Sarah J. Coleman in Big Cottonwood, Salt Lake, Utah on 3 June 1880.3 At the age of 10, Elizabeth Bailey Lewis was baptized in The Church of Jesus Christ of Latter-day Saints on Thursday, 4 June 1885. At the age of 15, Elizabeth Bailey Lewis received her endowment on Wednesday, 15 April 1891. She died on Saturday, 6 February 1943 in Bluffdale, Salt Lake, Utah at the age of 67 years and 9 months. She was buried on Wednesday, 10 February 1943 in South Jordan, Salt Lake, Utah. Horace George Lewis was also known as Herris G. Lewis.2 He was born on Saturday, 24 March 1877 in Big Cottonwood, Salt Lake, Utah.3,4 He lived with Sarah J. Coleman in Big Cottonwood, Salt Lake, Utah on 3 June 1880.2 At the age of 8, Horace George Lewis was baptized in The Church of Jesus Christ of Latter-day Saints on Thursday, 4 June 1885. At the age of 20, Horace George Lewis received his endowment on Tuesday, 13 April 1897. He died on Thursday, 30 October 1947 in Heber, Wasatch, Utah at the age of 70 years, 7 months and 6 days. He was buried on Monday, 3 November 1947 in the Heber City Cemetery, Heber, Wasatch, Utah. Siney Charles Lewis was a sheepherder.10 He was also known as Sinia Lewis.11 He was born on Monday, 12 May 1879 in Big Cottonwood, Salt Lake, Utah.12,13,14,15,16 He was blessed in The Church of Jesus Christ of Latter-day Saints on 12 May 1879.17 He was born in 1880.8 He lived with Sarah J. Coleman in Big Cottonwood, Salt Lake, Utah on 3 June 1880.11 At the age of 9, Siney Charles Lewis was baptized in The Church of Jesus Christ of Latter-day Saints by James or Joseph A. Taylor on Thursday, 2 May 1889.14,15,17 He was confirmed in The Church of Jesus Christ of Latter-day Saints by William Taylor on Thursday, 2 May 1889.17,14,15 At the age of 15, Siney Charles Lewis was ordained a deacon by Orson Hicken in The Church of Jesus Christ of Latter-day Saints on 16 March 1895.15 He lived with Preston King Lewis and Sarah J. Coleman in Heber, Wasatch, Utah on 6 June 1900; in a rented house.10 At the age of 22, Siney Charles Lewis was ordained a teacher by Robert Lewis or Robert Duke in The Church of Jesus Christ of Latter-day Saints on 16 April 1902.17,14,15 At the age of 31, Siney Charles Lewis was ordained an elder by Frederick Crook in The Church of Jesus Christ of Latter-day Saints in the 3rd Ward Wasatch Stake, Heber, Wasatch, Utah on 7 November 1910.18 He and Clara Amelia Dahlman obtained a marriage license on 12 December 1910 in Wasatch County, Utah.8,19 At the age of 31, Siney Charles Lewis received his endowment on Wednesday, 14 December 1910. Siney Charles Lewis married Clara Amelia Dahlman at the age of 31 and 27 by Anthon H. Lund on Wednesday, 14 December 1910 in Salt Lake City, Salt Lake, Utah.8 Siney Charles Lewis was employed by the Magna Plant, Salt Lake County, Utah in 1914.20 He lived in Garfield, Salt Lake, Utah between 1914 and 1915.20 He and Clara Amelia Dahlman lived in the 3rd Ward Wasatch Stake, Heber, Wasatch, Utah before 15 February 1914.17 Siney Charles Lewis and Clara Amelia Dahlman lived in the Garfield Ward Pioneer Stake, Garfield, Salt Lake, Utah on 15 February 1914.17,15 Siney Charles Lewis was employed as a milliner in 1915.20 He and Clara Amelia Dahlman lived in the 3rd Ward Wasatch Stake, Heber, Wasatch, Utah before 31 December 1922.14 Siney Charles Lewis and Clara Amelia Dahlman lived in the 1st Ward Wasatch Stake, Heber, Wasatch, Utah between 31 December 1922 and 14 June 1925.14,15 Siney Charles Lewis and Clara Amelia Dahlman lived in the 2nd Ward Wasatch Stake, Heber, Wasatch, Utah on 14 June 1925.14 Siney Charles Lewis died on Saturday, 20 January 1968 in Orem, Utah, Utah at the age of 88 years, 8 months and 8 days. He was buried on Wednesday, 24 January 1968 in Provo, Utah, Utah. [S195] Record of members, 1911-1941. Record of members 1911-1940. Church of Jesus Christ of Latter-day Saints. Garfield Ward (Utah), Film Number: 0025984, First Name, Middle Initial, Last Name Verified. [S196] Record of members 1921-1941. Church of Jesus Christ of Latter-day Saints. Heber 1st Ward (Utah), Film Number: 0026028 Item 1-2, First Name, Middle Initial, Last Name Verified. [S197] Annual genealogical report, Form E, 1907-1948. Church of Jesus Christ of Latter-day Saints. Heber 1st Ward (Utah)., Film Number: 0026028 Item 3, First Name, Middle Initial, Last Name Verified. [S198] Record of members 1903-1941. Church of Jesus Christ of Latter-day Saints. Heber 3rd Ward (Utah), Film Number: 0026031 Item 1-3, First Name, Middle Initial, Last Name Verified. [S406] International Genealogical Index (Ordinance Index), First Name, Middle Initial, Last Name Verified. [S130] 1880 U.S. Federal Census Utah, Salt Lake County, Film Number: 1255337, Month, Year, State Verified. [S195] Record of members, 1911-1941. Record of members 1911-1940. Church of Jesus Christ of Latter-day Saints. Garfield Ward (Utah), Film Number: 0025984, City Verified. [S196] Record of members 1921-1941. Church of Jesus Christ of Latter-day Saints. Heber 1st Ward (Utah), Film Number: 0026028 Item 1-2. [S195] Record of members, 1911-1941. Record of members 1911-1940. Church of Jesus Christ of Latter-day Saints. Garfield Ward (Utah), Film Number: 0025984. [S199] Annual genealogical report, Form E, 1907-1948. Church of Jesus Christ of Latter-day Saints. Heber 3rd Ward (Utah), Film Number: 0026031 Item 4, Date Verified. LeRay Coleman Lewis was a farmer.1 He was also known as La Ray C. Lewis.2,3,4 He was also known as Ray Coleman Lewis.2,3,5 He was born on Monday, 7 May 1883 in Big Cottonwood, Salt Lake, Utah.2,6,7 At the age of 11, LeRay Coleman Lewis was baptized in The Church of Jesus Christ of Latter-day Saints by D.B. Brinton on Sunday, 27 May 1894.2 He was confirmed in The Church of Jesus Christ of Latter-day Saints by T. or F. McDonald on Sunday, 27 May 1894.2 He lived with Preston King Lewis and Sarah J. Coleman in Heber, Wasatch, Utah on 6 June 1900; in a rented house.1 At the age of 26, LeRay Coleman Lewis was ordained a teacher by Frederick Crook in The Church of Jesus Christ of Latter-day Saints on 21 March 1910.2 LeRay Coleman Lewis married Laverna Elizabeth Hicken at the age of 26 and 27 by Frederick Crook on Wednesday, 30 March 1910 in Heber, Wasatch, Utah.2,3,4 At the age of 27, LeRay Coleman Lewis was ordained an elder by John F. Ohlwiler in The Church of Jesus Christ of Latter-day Saints in the 3rd Ward Wasatch Stake, Heber, Wasatch, Utah on 5 December 1910.3 At the age of 27, LeRay Coleman Lewis received his endowment on Wednesday, 14 December 1910. He and Laverna Elizabeth Hicken lived in the 3rd Ward Wasatch Stake, Heber, Wasatch, Utah before 10 November 1923.2 LeRay Coleman Lewis and Laverna Elizabeth Hicken lived in the 2nd Ward Midway Stake, Midway, Wasatch, Utah between 10 November 1923 and 28 September 1924.2 LeRay Coleman Lewis and Laverna Elizabeth Hicken lived in the 3rd Ward Wasatch Stake, Heber, Wasatch, Utah on 28 September 1924.2 At the age of 50, LeRay Coleman Lewis was ordained a seventy by Samuel O. Bennion in The Church of Jesus Christ of Latter-day Saints on 25 February 1934.2 At the age of 51, LeRay Coleman Lewis was ordained an high preist by D.A. Broadbent in The Church of Jesus Christ of Latter-day Saints on 16 January 1935.2 At the age of 52, LeRay Coleman Lewis was ordained an high preist by David A. Broadbent in The Church of Jesus Christ of Latter-day Saints in the 3rd Ward Wasatch Stake, Heber, Wasatch, Utah on 16 June 1935.3 He died on Tuesday, 30 June 1964 at the age of 81 years, 1 month and 23 days. At the age of 19, Irna Dorithy Lewis married Ernest Edgington on Sunday, 5 February 1905. Irna Dorithy Lewis was also known as Duritha Lewis.3 She married Ernest Dayton. Irna Dorithy Lewis was born on Sunday, 8 February 1885 in Big Cottonwood, Salt Lake, Utah.4,5,6 She was confirmed in The Church of Jesus Christ of Latter-day Saints by Hannon or Harmon Cummings on Saturday, 24 August 1895.4,6 At the age of 10, Irna Dorithy Lewis was baptized in The Church of Jesus Christ of Latter-day Saints by Joseph E.D. Tomlinson on Saturday, 24 August 1895.4,6 She lived with Preston King Lewis and Sarah J. Coleman in Heber, Wasatch, Utah on 6 June 1900; in a rented house.3 At the age of 19, Irna Dorithy Lewis married Ernest Edgington on Sunday, 5 February 1905. At the age of 36, Irna Dorithy Lewis received her endowment on Wednesday, 9 November 1921. She died on Sunday, 22 October 1972 in Pocatello, Bannock, Idaho at the age of 87 years, 8 months and 14 days. [S198] Record of members 1903-1941. Church of Jesus Christ of Latter-day Saints. Heber 3rd Ward (Utah), Film Number: 0026031 Item 1-3, Middle Name, Last Name Verified. [S299] Record of members, 1877-1903; fast meeting record for blessings and confirmations, 1877-1903. Church of Jesus Christ of Latter-day Saints. Heber East Ward (Utah), Film Number: 0026026, Middle Name, Last Name Verified. Mary Lewis died on Saturday, 9 July 1887. She was born on Saturday, 9 July 1887 in Big Cottonwood, Salt Lake, Utah. Hazel Nora Lewis was born on Sunday, 15 July 1888 in Taylorsville, Salt Lake, Utah. She died on Thursday, 18 August 1892 at the age of 4 years, 1 month and 3 days. Rowe Lewis was a laborer.2 He was also known as Roe Lewis.1,2 He was born on Wednesday, 15 October 1890 in Taylorsville, Salt Lake, Utah.1,5,6 He was born on Wednesday, 15 October 1890 in Heber, Wasatch, Utah.2 He lived with Preston King Lewis and Sarah J. Coleman in Heber, Wasatch, Utah on 6 June 1900; in a rented house.3 At the age of 10, Rowe Lewis was baptized in The Church of Jesus Christ of Latter-day Saints by James C. Murdock on Saturday, 31 August 1901.1 He was confirmed in The Church of Jesus Christ of Latter-day Saints by George A. Wootton on Sunday, 1 September 1901.1 At the age of 17, Rowe Lewis was ordained a teacher by Adolphia Y. Duke in The Church of Jesus Christ of Latter-day Saints in the 3rd Ward Wasatch Stake, Heber, Wasatch, Utah on 17 February 1908.1,2 He was employed as a laborer on a farm in 1910.7 He witnessed the marriage of LeRay Coleman Lewis and Laverna Elizabeth Hicken on 30 March 1910 in Heber, Wasatch, Utah; by Frederick Crook.1,2,4 Rowe Lewis lived with Preston King Lewis and Sarah J. Coleman on 4th East Street, Heber, Wasatch, Utah on 18 April 1910; in a rented house.7 Rowe Lewis married Sarah Evelyn Ivie at the age of 20 and 19 by Frederick Crook on Saturday, 25 March 1911 in Heber, Wasatch, Utah.4 At the age of 31, Rowe Lewis was ordained an elder by David A. Broadbent in The Church of Jesus Christ of Latter-day Saints in the 3rd Ward Wasatch Stake, Heber, Wasatch, Utah on 16 April 1922.1,2 He died of heart disease on Thursday, 2 May 1946 in Provo, Utah, Utah at the age of 55 years, 6 months and 17 days.8 He was buried on Monday, 6 May 1946 in the Heber City Cemetery, Heber, Wasatch, Utah. [S199] Annual genealogical report, Form E, 1907-1948. Church of Jesus Christ of Latter-day Saints. Heber 3rd Ward (Utah), Film Number: 0026031 Item 4, Month, Year, Memo Verified. [S447] Historic Nauvoo Land and Research Center Records. [S455] Nauvoo Temple Endowment Register 1845-46 obtained from the Nauvoo Land and Records Research Center. [S468] Obituary for David Lewis, Deseret News, 2 Sep 1855. [S533] 1850 U.S. Federal Census Missouri, Platte County, Film Number: 0443618. [S11] Early Church Membership Records, Infobases, Cooper, Farmer, Photographer Verified. [S468] Obituary for David Lewis, Deseret News, 2 Sep 1855, Trader Verified. [S533] 1850 U.S. Federal Census Missouri, Platte County, Film Number: 0443618, Cooper, Farmer Verified. [S12] Journal of David Lewis, by David Lewis. [S57] Article on Siney Lewis, Vernal Express, 3 Sep 1931, Date and State Verified. [S218] 1900 U.S. Federal Census Utah, Wasatch County, Film Number: 1241688, State Verified. [S256] Parowan Cemetery Records, Date Verified. [S465] Guide to Mormon Diaries and Auto, David Bitton, 1977, Year, County Verified. [S468] Obituary for David Lewis, Deseret News, 2 Sep 1855, Date, County Verified. [S57] Article on Siney Lewis, Vernal Express, 3 Sep 1931, Date Verified. [S465] Guide to Mormon Diaries and Auto, David Bitton, 1977, Year, Memo Verified. [S468] Obituary for David Lewis, Deseret News, 2 Sep 1855, Date, Memo Verified. [S465] Guide to Mormon Diaries and Auto, David Bitton, 1977. [S468] Obituary for David Lewis, Deseret News, 2 Sep 1855, Date, State Verified. [S467] 1842 Tax Assessors Record, Personal Property, Hancock County, Pg. 216. [S468] Obituary for David Lewis, Deseret News, 2 Sep 1855, State Verified. 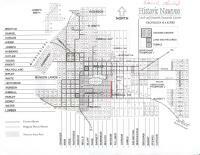 [S455] Nauvoo Temple Endowment Register 1845-46 obtained from the Nauvoo Land and Records Research Center, High Priest Verified. [S51] Obituary - Siney Lewis. [S55] Siney Lewis Biography, Place Verified. 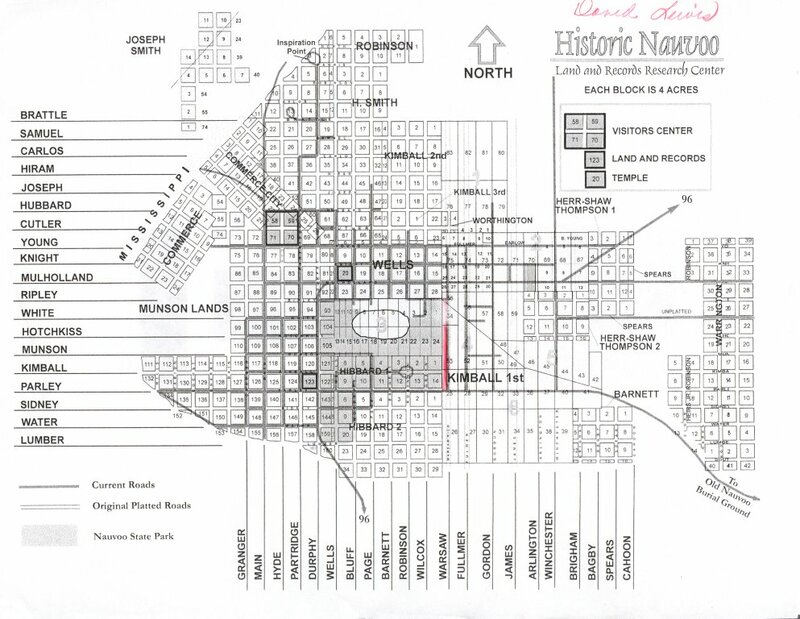 [S447] Historic Nauvoo Land and Research Center Records, Date Verified. [S256] Parowan Cemetery Records, Place Verified. Arminda Lewis was also known as Araminta.1 She was also known as Arminta Lewis.2,3 She was also known as Armita Lewis.2 She was born on Tuesday, 20 October 1835 in Simpson, Franklin, Kentucky.2,4 She married George Baker in 1849.3 Arminda Lewis and George Baker lived in Weston, Platte, Missouri on 24 August 1850.1 At the age of 55, Arminda Lewis was baptized in The Church of Jesus Christ of Latter-day Saints on Tuesday, 13 January 1891. At the age of 56, Arminda Lewis received her endowment on Wednesday, 11 May 1892. [S11] Early Church Membership Records, Infobases, Date Verified. [S130] 1880 U.S. Federal Census Utah, Salt Lake County, Film Number: 1255337, Year, Country Verified. [S55] Siney Lewis Biography, Date Verified. [S406] International Genealogical Index (Ordinance Index), Date, City Verified. [S406] International Genealogical Index (Ordinance Index), Month, Year Verified. Wylie Hill married Olive Lewis. [S55] Siney Lewis Biography, State Verified. [S57] Article on Siney Lewis, Vernal Express, 3 Sep 1931. [S51] Obituary - Siney Lewis, Date Verified. [S57] Article on Siney Lewis, Vernal Express, 3 Sep 1931, Year Verified. David Brinton was a farmer.1 He married Olive Lewis. David Brinton was born in 1815.2 He was born in 1816 in Pennsylvania.1 He lived in Great Salt Lake County, Deseret in 1851.1 He immigrated with the John W. Berry company between 10 May 1858 and 21 June 1858 to the Salt Lake County, Utah.2 He was sealed to Olive Lewis on 14 October 1865 in the Endowment House, Salt Lake City, Salt Lake, Utah. [S716] Mormon Pioneer Overland Travel, 1847-1868, http://www.lds.org/churchhistory/library/…,15773,3966-1,00.html. Olive Lewis married Wylie Hill. Olive Lewis married David Brinton. Olive Lewis was also known as Olivia Lewis.1 She was born on Tuesday, 1 August 1848 at Mosquito Creek, Council Bluffs, Pottawattamie, Iowa.2,3,4,5,6 She was baptized in The Church of Jesus Christ of Latter-day Saints in 1857. At the age of 14, Olive Lewis received her endowment on Saturday, 6 September 1862. She was sealed to David Brinton on 14 October 1865 in the Endowment House, Salt Lake City, Salt Lake, Utah. Olive Lewis died on Sunday, 25 January 1880 at the age of 31 years, 5 months and 24 days. George Coleman was a matting maker, mal m, and farmer.6,7,8 He married Sarah McDonald. George Coleman was born on Wednesday, 30 November 1814 in Sherrington, Buckingham, England.9,10,11,12 He was born in 1816 in Sherrington, Buckingham, England.13,5 George Coleman married Elizabeth Bailey at the age of 21 and 20 on Tuesday, 11 October 1836 in England. George Coleman and Elizabeth Bailey lived in Sherrington, Buckingham, England in 1841.14 At the age of 30, George Coleman was baptized in The Church of Jesus Christ of Latter-day Saints on Tuesday, 16 September 1845. He and Elizabeth Bailey lived on Chapel Street, Hemel Hempsted, Hertford, England on 5 April 1851.5 George Coleman and Elizabeth Bailey immigrated in 1864 to Utah.15,16 At the age of 50, George Coleman received his endowment on Friday, 10 November 1865 in the Endowment House, Salt Lake City, Salt Lake, Utah. He was sealed to spouse Elizabeth Bailey on Friday, 10 November 1865 in the Endowment House, Salt Lake City, Salt Lake, Utah. George Coleman lived in Big Cottonwood, Salt Lake, Utah on 1 June 1880.1 He died on Friday, 15 June 1888 in Big Cottonwood, Salt Lake, Utah at the age of 73 years, 6 months and 16 days. He was buried on Sunday, 17 June 1888 in Big Cottonwood, Salt Lake, Utah. [S385] Census resturns for Sherrington, 1841. Great Britain. Census Office, Film Number: 0241219, Page 17. [S588] 1851 British Census Hemel Hempsted, Hertford, England, Film Number: 0193623. [S385] Census resturns for Sherrington, 1841. Great Britain. Census Office, Film Number: 0241219, Mal M Verified. [S588] 1851 British Census Hemel Hempsted, Hertford, England, Film Number: 0193623, Matting Maker Verified. [S50] 1910 U.S. Federal Census Utah, Wasatch County, Film Number: 1375623, Country Verified. [S130] 1880 U.S. Federal Census Utah, Salt Lake County, Film Number: 1255337, Country Verified. [S218] 1900 U.S. Federal Census Utah, Wasatch County, Film Number: 1241688, Country Verified. [S385] Census resturns for Sherrington, 1841. Great Britain. Census Office, Film Number: 0241219, Year, County Verified. [S385] Census resturns for Sherrington, 1841. Great Britain. Census Office, Film Number: 0241219. Elizabeth Bailey was born on Tuesday, 17 October 1815 in Onley, Buckingham, England.5,6,7,8 She was born in 1817 in Olney, Buckingham, England.9 George Coleman married Elizabeth Bailey at the age of 21 and 20 on Tuesday, 11 October 1836 in England. She and George Coleman lived in Sherrington, Buckingham, England in 1841.10 At the age of 32, Elizabeth Bailey was baptized in The Church of Jesus Christ of Latter-day Saints on Sunday, 27 February 1848. She and George Coleman lived on Chapel Street, Hemel Hempsted, Hertford, England on 5 April 1851.9 Elizabeth Bailey and George Coleman immigrated in 1864 to Utah.11,12 Elizabeth Bailey was sealed to spouse George Coleman on Friday, 10 November 1865 in the Endowment House, Salt Lake City, Salt Lake, Utah. At the age of 50, Elizabeth Bailey received her endowment on Friday, 10 November 1865. She died on Thursday, 22 April 1880 in Big Cottonwood, Salt Lake, Utah at the age of 64 years, 6 months and 5 days. She was buried after 22 April 1880 in Big Cottonwood, Salt Lake, Utah. [S385] Census resturns for Sherrington, 1841. Great Britain. Census Office, Film Number: 0241219, Page 17, First Name Verified. [S588] 1851 British Census Hemel Hempsted, Hertford, England, Film Number: 0193623, First Name Verified. [S385] Census resturns for Sherrington, 1841. Great Britain. Census Office, Film Number: 0241219, Page 17, Year, County Verified. Henry Coleman was born on Wednesday, 4 May 1836 in Sherrington, Buckingham, England.3,4 He lived with George Coleman and Elizabeth Bailey in Sherrington, Buckingham, England in 1841.1 At the age of 8, Henry Coleman was baptized in The Church of Jesus Christ of Latter-day Saints on Tuesday, 10 December 1844. He lived with George Coleman and Elizabeth Bailey on Chapel Street, Hemel Hempsted, Hertford, England on 5 April 1851.2 At the age of 25, Henry Coleman received his endowment on Friday, 27 September 1861. He died on Wednesday, 25 December 1867 in Midway, Wasatch, Utah at the age of 31 years, 7 months and 21 days. He was buried on Saturday, 28 December 1867 in Midway, Wasatch, Utah. [S588] 1851 British Census Hemel Hempsted, Hertford, England, Film Number: 0193623, Year, City Verified. Charles Coleman was born on Saturday, 3 February 1838 in Sherrington, Buckingham, England.3,4 He lived with George Coleman and Elizabeth Bailey in Sherrington, Buckingham, England in 1841.1 Charles Coleman lived with George Coleman and Elizabeth Bailey on Chapel Street, Hemel Hempsted, Hertford, England on 5 April 1851.2 Charles Coleman married Eliza Chapman in 1865. Charles Coleman died on Wednesday, 4 March 1868 at the age of 30 years, 1 month and 1 day.